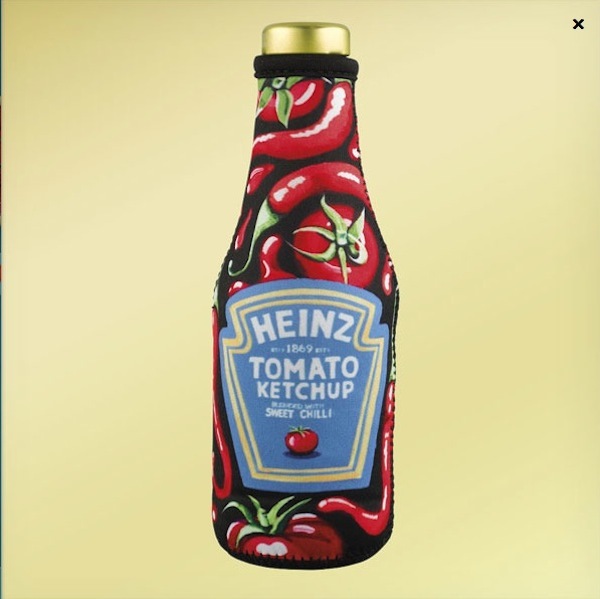 Heinz has teamed up with Irish pop-art artist Orla Walsh to create limited edition jackets for its new limited edition sauce, Heinz Tomato Ketchup with Sweet Chili. 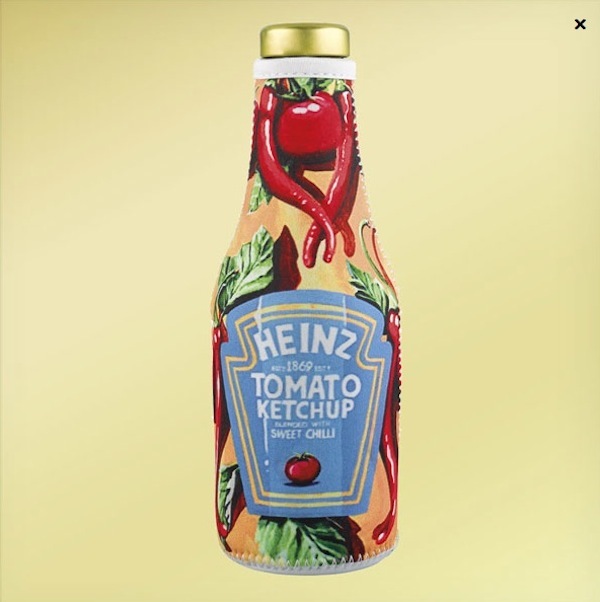 The designs of the two jackets combine the artist’s style together with the brand’s traditional look, and bring the sauce’s ingredients to its surface—featuring peppers and tomatoes on its background, with a gold-trimmed turquoise label. 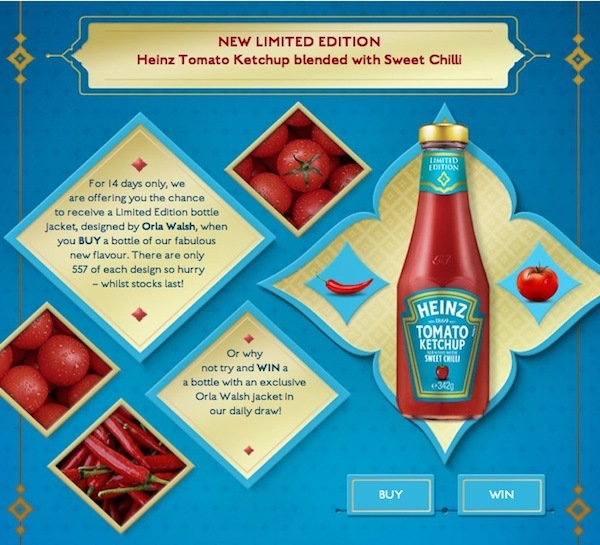 “The jackets really help bring to life the vibrant new flavor and we believe the sauce will be just as exciting for consumers,” Sarah Davies, brand manager at Heinz Tomato Ketchup, said in a statement. The brand will be releasing only 557 jackets of each design, which can either be bought or won.